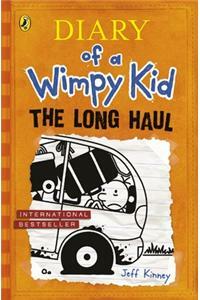 For the latest diary of a wimpy Kid book, I'm taking the Heffleys out of their home environment and sending them out on the road" - says Jeff Kinney. Writing about an epic family road trip has really got authour's creative juices flowing and I think this could be the funniest book yet. As well as being the international bestselling author of diary of a wimpy kid, Jeff Kinney is also an online developer and designer. He is the creator of the children's virtual world, Poptropica. Jeff has been named one of time magazine's most influential people in the world.